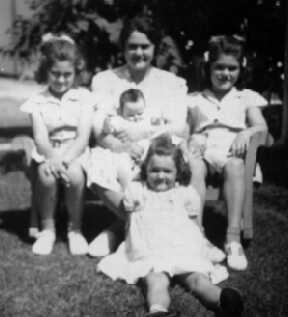 Marguerite was born and raised on the family farm in Lansing, MI. 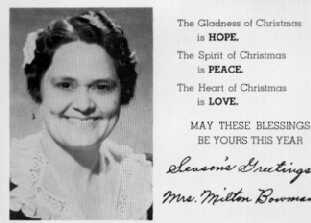 After graduating from Lansing Central High School in 1924, she went to Wheaton College in Wheaton, IL and graduated in 1928. She then became the travelling pastor of three rural churches in MI. On 25 Jul 1929, she married Eldon Gearhart. They lived in several eastern states. 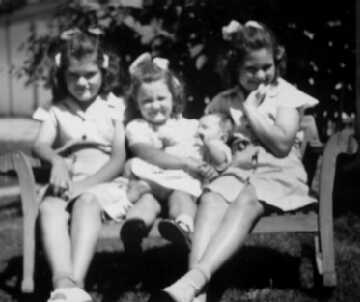 The first 3 children (all girls) were born during these years. 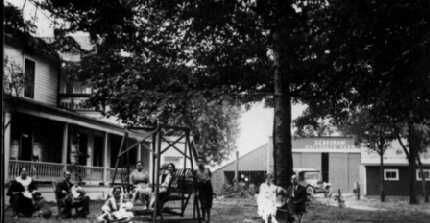 In August 1936 Eldon was killed in a small plane crash. Marguerite moved back to Lansing where her son Willard was born in October. Willard died of spinal meningitis in 1937. 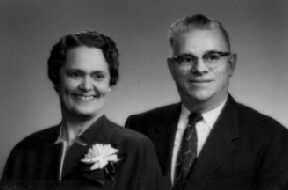 On 28 May 1938, "Margie" married (John) Milton Bowman who then accepted a pastorate in Nappanee, IN. Her fourth daughter was born the next year. 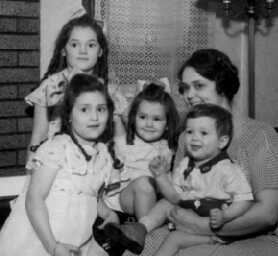 Besides being a supportive minister's wife and loving mother, Marguerite taught Bible School in the public schools and became a sought-after public speaker for many functions using scene-o-felt stories and poetry to enhance her presentations. 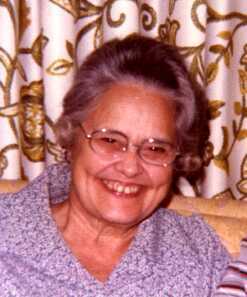 In December 1970, Marguerite and Milton retired and moved back to Lansing to be near her family. 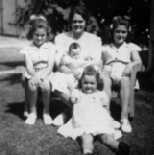 In 1988 their four daughters hosted a 50th wedding anniversary celebration for them. Milton died in February 1989. In December 1992, Marguerite moved to CA to live with her daughter and son-in-law. 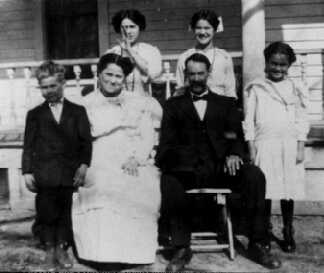 At the time of her death, she had 13 grandchildren and 26 great grandchildren living in AZ, CA, CO, MI, NM and WI. Newspaper wedding notice for Eldon and Marguerite: Attractive in its simplicity was the wedding which was performed at the home of Mr. and Mrs. D. E. Brokaw south of Lansing, Thursday evening when their daughter, Marguerite Thelma, became the bride of Eldon D. Gearhart, son of Mr. and Mrs. D. E. Gearhart, 722 W Mt. Hope avenue. The Rev. C. H. Heaton of Elkhart, IN, officiated at the ceremony, using the ring service, before an arch of maple branches interspersed with dahlias and sweet peas. Mrs. Pearl Gardner, sister of the bridegroom, played Lohengrin's wedding march and Miss Marguerite Jacobus sang "I Love You Truly" preceding the ceremony. The bride, who entered the room on the arm of her father, was charming in a gown of white georgette with an arm bouquet of pink roses and babies' breath. Her tulle veil was held in place by a headdress of lace, pearls, and rhinestones. 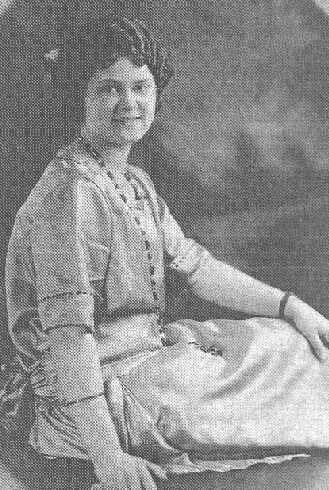 Her bridesmaid, Miss Dorothy Larson of Sank Rapids, MN, wore a gown of Nile green chiffon and carried an arm bouquet of pink rosebuds. Mrs. James Bowden, sister [Leah] of the bride, who attended as matron of honor, wore a lovely gown of lemon-colored georgette. Her arm bouquet was of yellow rose buds and purple bachelor buttons. Edgar Anson acted as best man. Following the ceremony a luncheon was served by Mrs. Nellie Holaday of Lyons and Miss Florence Tany of Lansing. Mrs. Gearhart is a graduate of Lansing High school, class of '24, and Wheaton college, Wheaton, IL, in '28. For the past year she has been assistant pastor of the churches of Palo, Lyons, and North Plains. Mr. Gearhart is a graduate of Lansing High school, class of '22, and for the past 3 years has been engaged in automotive engineering in the Philippine islands. At present he is employed in the service department of the General Motors Export company of NYC. Mr. and Mrs. Gearhart left Friday by boat for Niagara Falls from where they will continue to NYC. They will make their home at 4074 Ithaca street, Elmhurst, Long Island. Guests from out of the city included: Mr. and Mrs. F. S. Brokaw of Eagle, Mrs. William Sullivan of Wheaton, IL, Miss Helen Drushal of Vestaburg, and the Rev. Harold Reese of Williamston. Willard died of spinal meningitis. I found a funeral pamphlet in JCS' papers that indicated that Willard was b. 13 Oct 1936 in Altoona, PA and d. 19 Jan 1938 in Lansing, MI. It was from the Gorsline-Runciman Funeral Home in Lansing and showed Rev. Robert Devine officiating, and pall-bearers William, Robert, and James (Jr) BOWDEN and Jacob Vinocur. A touching poem about sad sunsets followed by happy sunrises also appeared. Marguerite's mtDNA haplogroup is H3, a very common European lineage. This line comes via her mother (RosaB), Leah Chisnell, ... In his 2006 book 'Deep Ancestry', Dr. Spencer Wells indicates the 'H' haplogroup originated in Africa c100kya, migrated into Palestine via the Sinai Peninsula c30kya, then much later across Turkey and into Europe (the 1st group into Europe). They spent the last Ice Age (c12kya) huddled in small areas of Spain, Italy and the Balkans, then repopulated Europe after the warmup. The H and V haplogroups account for 75% of Europeans, and H alone 40-60%, depending on region. See br-7de for more info. Dan Stet. 's info says H3 huddled in N Spain, then afterwards split into 2 groups heading 1) N along Atlantic coast into France (i.e. Brokaws) and Britain and 2) E along Mediterranean coast to Italy, Sardinia, then across the Alps into Hungary. Source: Family papers and stories.